Fans of the hit PBS Kids' TV show The Cat in the Hat Knows a Lot About That! have cause to celebrate--all year round! 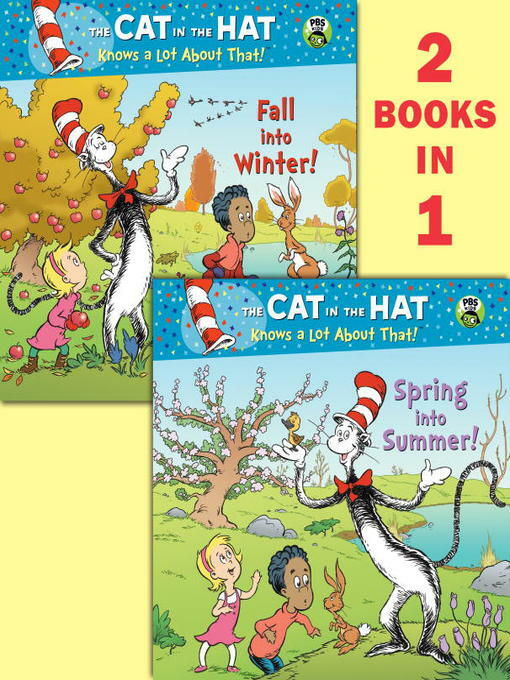 In this ebook featuring two books in one, the Cat and Co. go, go, go, GO on an adventure to the magical Garden of Seasons, where they are able to see how the change in temperature affects plants and animals. Among the new friends they meet is a snowshoe hare whose brown fur turns white to help him hide in the snow, a tadpole who turns into a frog and then hibernates during the winter, and a Canadian goose gosling who grows up and migrates south in the fall. All in all, this is a perfect introduction to the yearly cycle that can be enjoyed any time of the year!